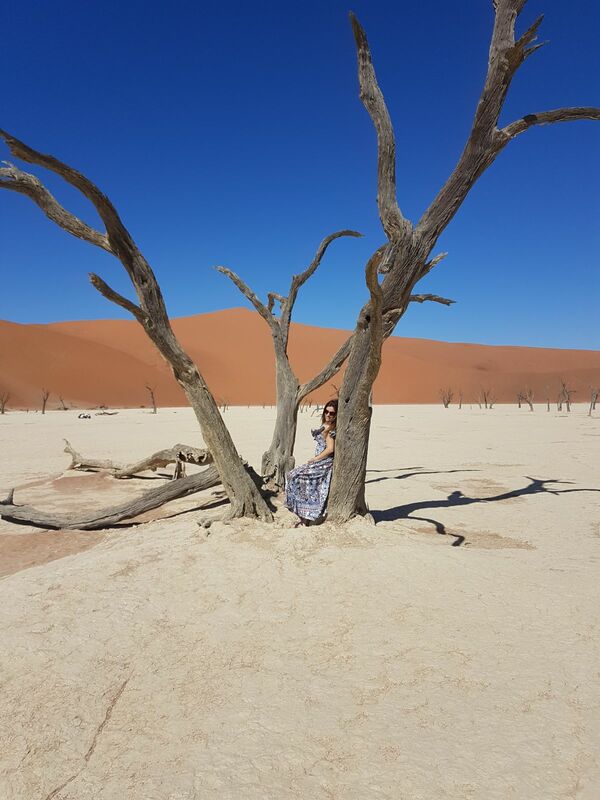 When I started planning our 6-day getaway for July, I knew I wanted to visit Namibia. 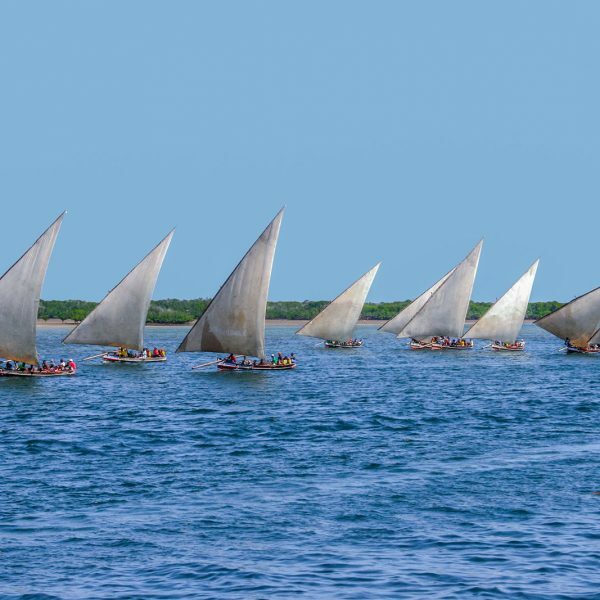 The country is HUGE and has several great choices: safari in the Etosha Park in the north, the famous Skeleton Coast and the Namib-Naukluft Park in the south are the main ones. Since we only had 6 days off we had to focus on one region only, and I do not regret our choice for one second. 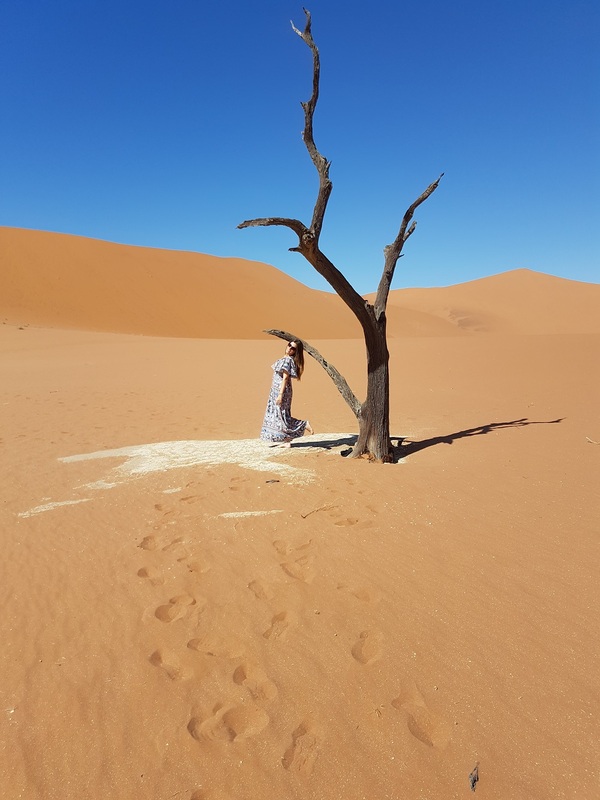 The Namib desert was probably the most unique place I have ever been. The landscapes are gorgeous, and even though we were there in the highest season possible, you are under the constant impression that you are in the middle of nowhere. We could drive for three straight hours without seeing another car or person. To get to the Park region we rented a car at Windhoek airport and drove for five hours on mostly gravel roads. I highly recommend renting a SUV or the drive can get uncomfortable. I cannot get enough of my Namibian days, and can’t wait to go back to explore the rest of the country. However, if you have a few days, I highly recommend taking this trip to the desert. Here are the five main reasons why. 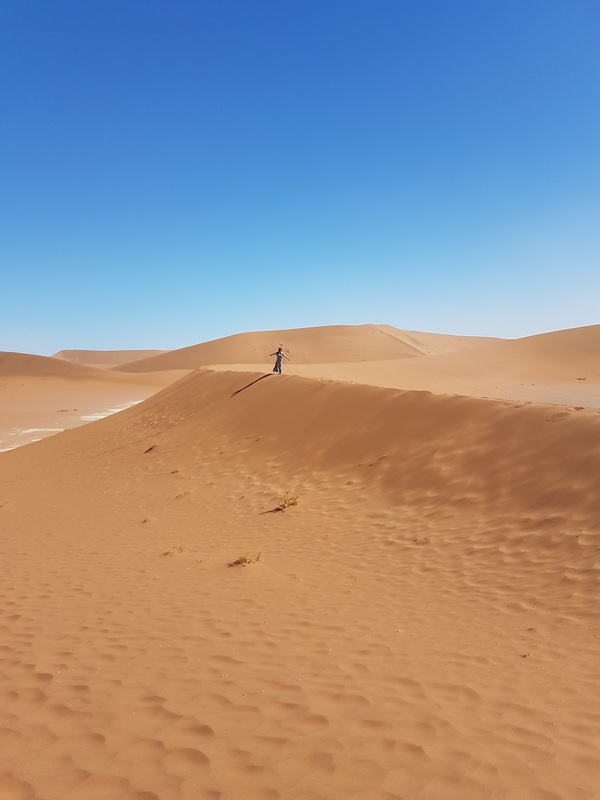 Dune 45 is located in the Namib-Naukluft National Park. As we drive through the park, we approach km 45, where dune 45 is located. It is the one closest to the road, so several people are happy to try to climb it. Looking at it from the ground it does not look like a challenging climb, but after starting my way up I quickly realized it was deceiving. We were there in the winter so the weather was great for it, but climbing in the summer must be hard under the 40c sun. Most people go in the early hours of the morning in order to avoid the heat and to see the changing colors of the sand as the sun rises. The view at the top is incredible and worth the effort. After visiting Dune 45 our guide continues the drive into soft sand. 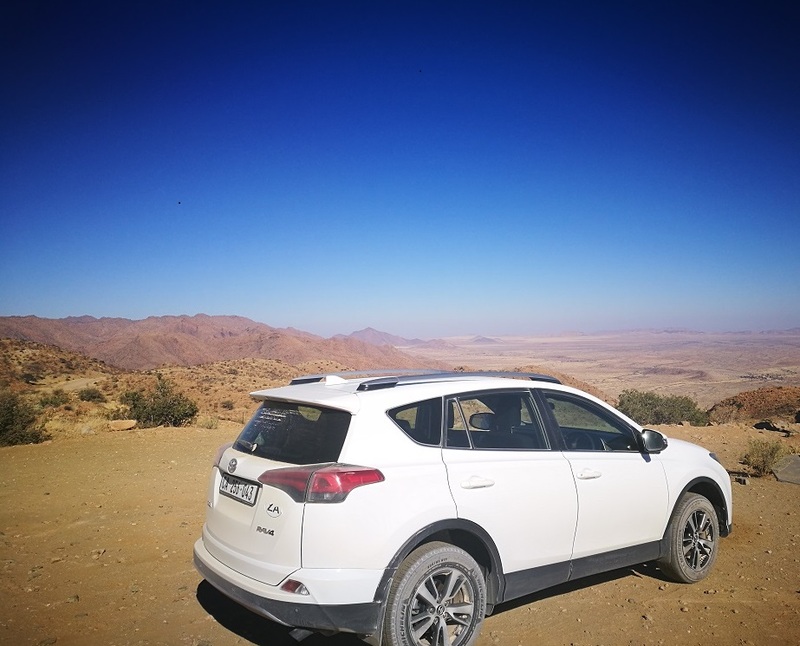 He parks in the Sossusvlei area and we start our 15-minute walk in the dunes towards the dead river. The dry trees and white ground contrast with the orange and yellow dunes and the deep blue sky that surround it. I don’t think I have ever seen such a gorgeous landscape in my life; the pictures do not prepare you for how spectacular and grand it is. We walked around for about an hour admiring the shapes of the 600-year-old leafless branches and the peace this remote place brings. The shadows change slightly and the scenery changes with it. I don’t think there are words to describe the beauty of this place. 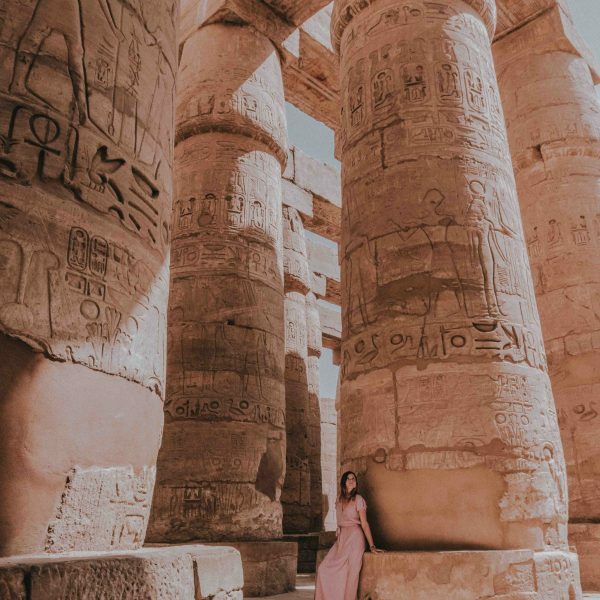 The dunes here can reach 300 meters: that’s equivalent to a building with approximately 100 floors. Initially we wanted to take the famous balloon tour over the dunes. However, it was very over budget for us at approximately 450 euros per person. 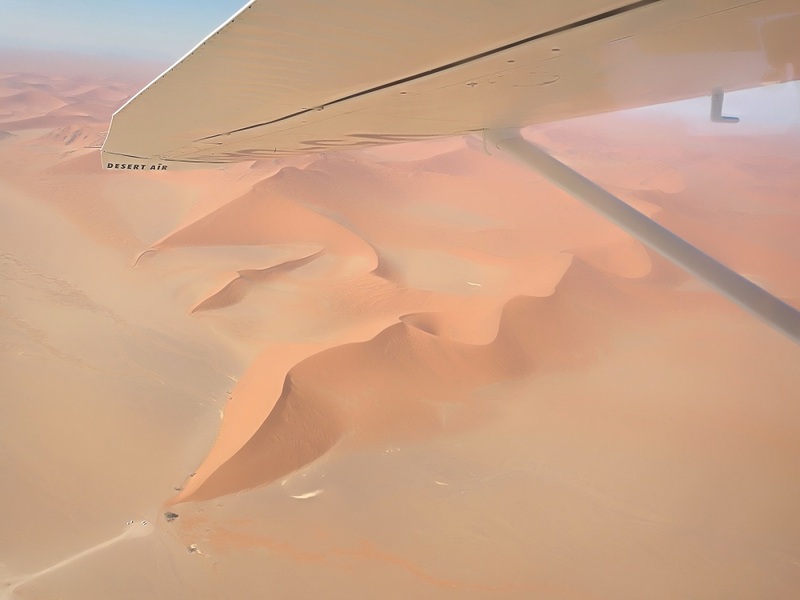 We decided to look into the airplane tour ver the dunes and it was the best choice! We met a couple with a child in our hotel who also wanted to take the tour and since the airplane had five seats, it was perfect. The airplane ride was out of this world and took us above and in between (yes, in between!!) the dunes. 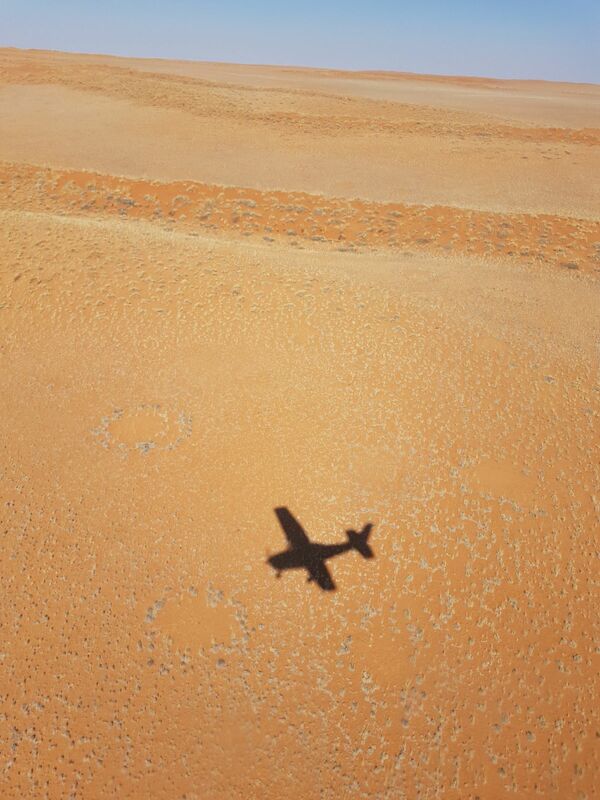 We saw animals running around in the desert and the changing colors of the landscape were more obvious from above. Again, there are no words to describe it. We chose the 45-minute tour, but I regret it. 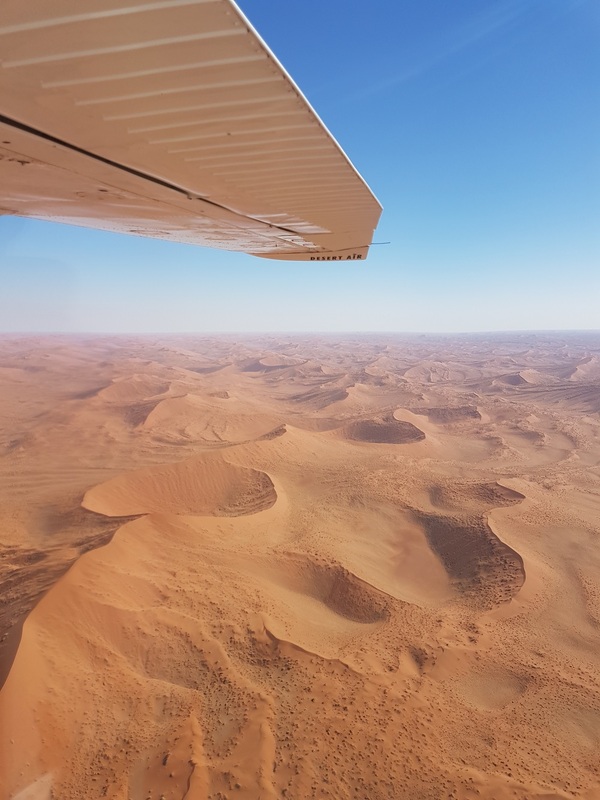 We should have chosen the 1h30 tour that takes you over the Skeleton Coast as well. That, however, is something for our next visit for sure! 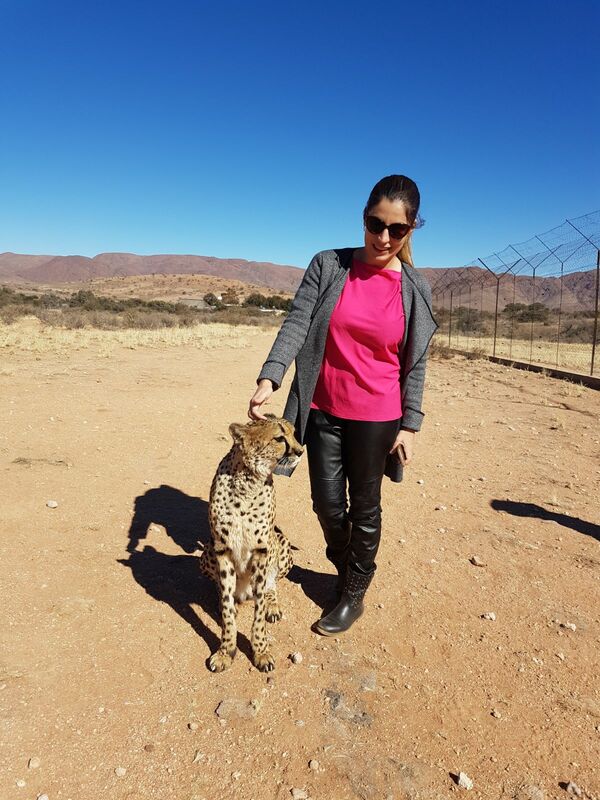 I am always doubtful about going to places where you can touch wild animals. Not only am I scared to death, but I also wonder how they are treated. Therefore, it was a nice surprise when we arrived at the Hammerstein Lodge and saw the great conditions in which the animals lived. The area was fenced off, but the animals had plenty of space to run. The guide that accompanied us has a special relationship with the animals: he was responsible for feeding them and it was clear the respect he had for them. When we approached the cheetah she was lying down, but soon stood up and came walking towards us. She circled our legs, as we often see cats doing, and was happy to let us pet her. It was an incredible experience. July is high season because the temperatures are usually great. During our stay, the average weather during the day was a perfect 23c accompanied by blue skies! 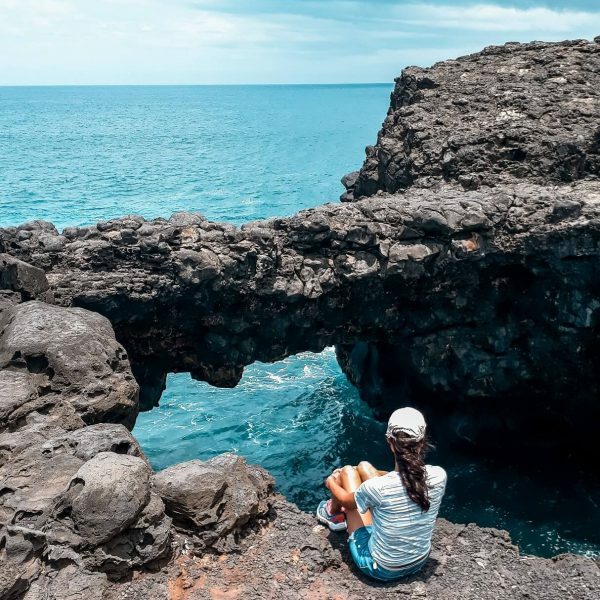 We started planning our trip only one month beforehand, so we had trouble booking hotels. We had to stay one night in each place since there was no availability in the region, so one thing I highly recommend is to plan ahead. Ultimately, we loved staying in different hotels and enjoying the uniqueness of each one, but the distances are long in the desert so some people may find it tiring. We Kebi Lodge was my favorite hotel. The lodges were very beautifully decorated and comfortable, the food was delicious, the staff were incredibly friendly and the price was great. It is a family hotel, with very few rooms, and you feel at home. 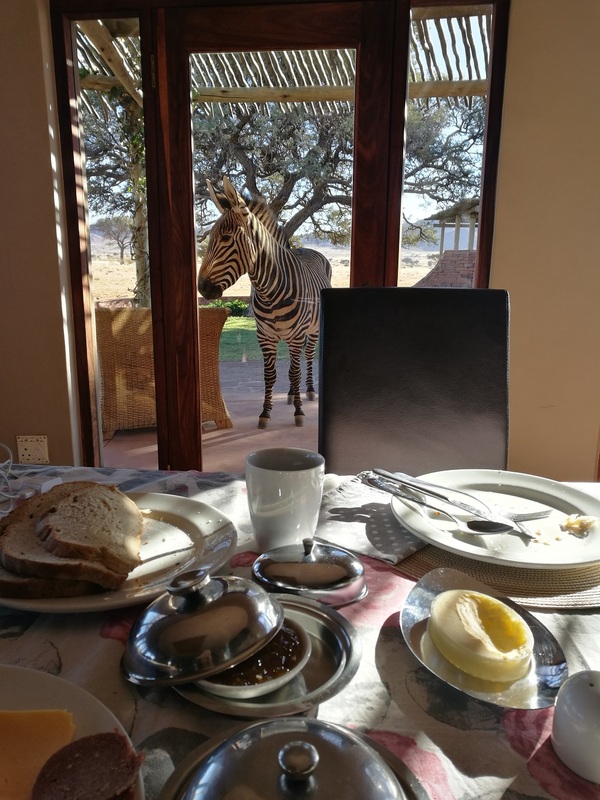 While we were having breakfast, we had a surprise visit from the hotel zebras walking right outside our table! Le Mirage Hotel & Spa is the closest to a five star hotel in the region. 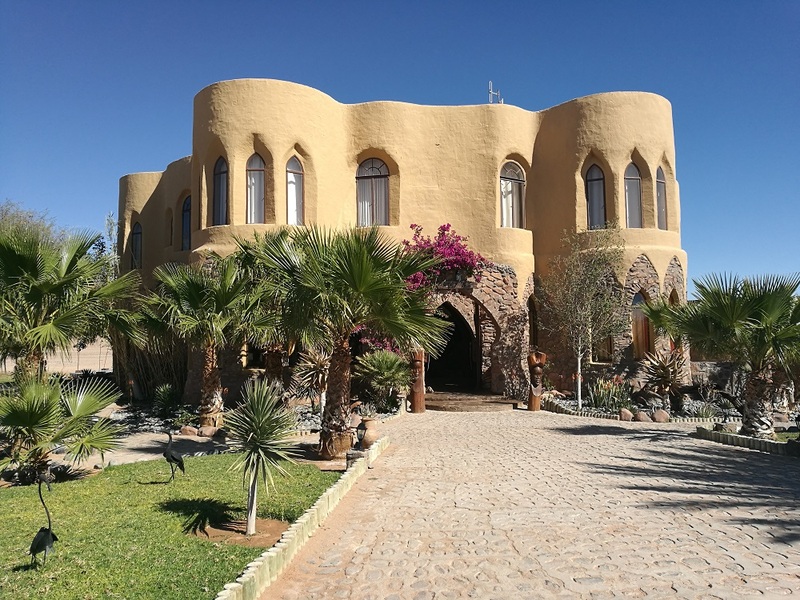 The grounds are beautiful and resemble a castle in the middle of the desert. The food was good, and the rooms were beautiful. 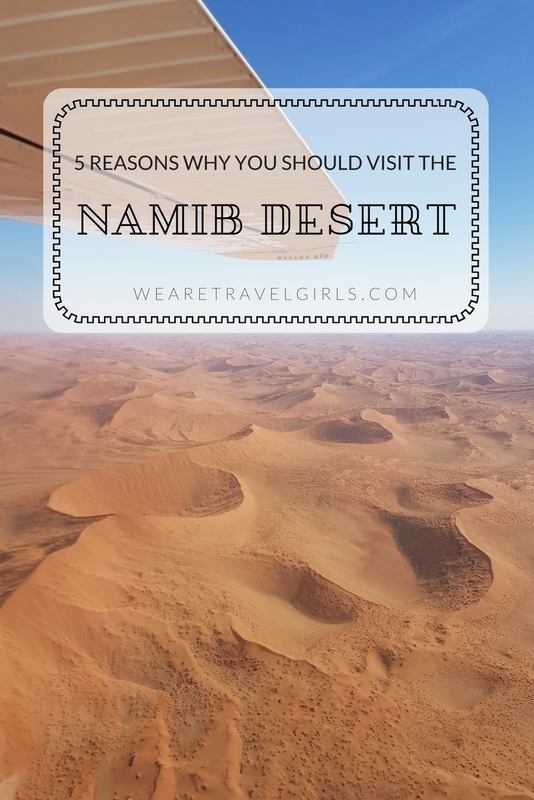 The main advantage of this hotel is that it’s very close to the Namib Naukluft Park, so you can sleep a little more if you want to catch the sunrise tour. The views from Moon Mountain Lodge are breathtaking and unforgettable. 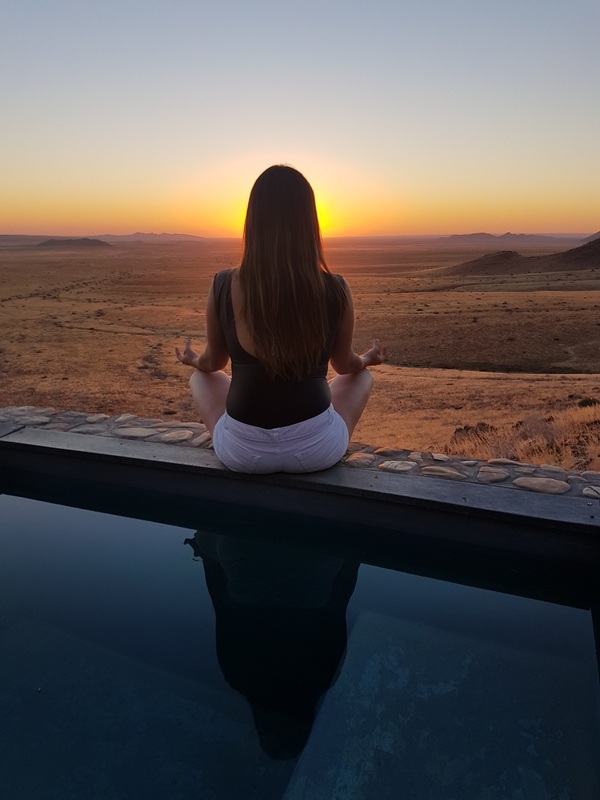 The lodges are high up in the mountains overlooking the desert and the sunset is stunning. Despite having a few problems, the hotel is very special and worth it for the location. 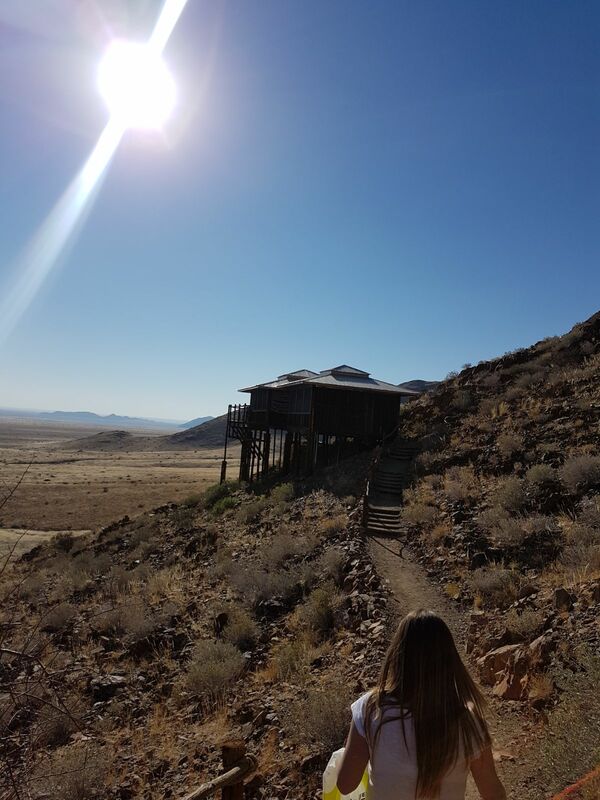 Our Namib experience was as good as it gets. The people are friendly and I honestly think it is one of the most remote and unique places a person can visit. The country is safe and everything, from renting our jeep, navigating, refueling and driving in the desert, was easy. On our way back we stayed in Windhoek for one night before returning home. The city has great and cheap restaurants (I highly recommend the Stellenbosch Wine & Bar Bistro and many shopping options.